Earlier this summer a group of OLG parishioners led by Shelly Abei formed a liturgy commission. A fruit of their work is the development of a theme for Advent this year: “Moving Toward the Son”. We are encouraging you to look at four themes being revealed over four weeks: being molded, trust, giving thanks, and rejoicing. In this ﬁrst week of Advent, we contemplate our Blessed Mother – the one who was molded by God to be the Mother of Jesus, and our Mother as well. From a young age, Mary learned to trust that God was at work inside her; molding her for His service. Being free from sin, Mary turned to God without hesitation as her life’s greatest good, putting nothing ahead of that relationship. Sent to such a poor and lowly person, her vocation was a noble one. 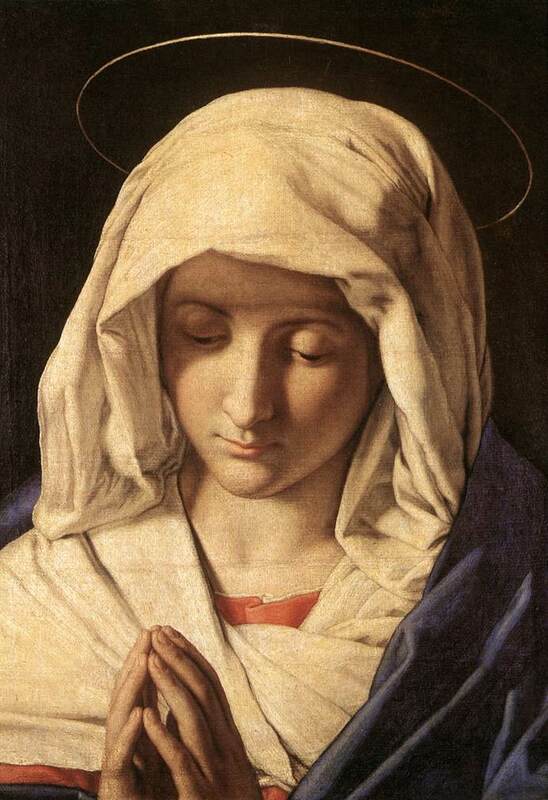 She was to be the Mother of God Himself who, through her, brings salvation to all. What a blessing Mary is for all of us as she continues to intercede and bring God’s graces to all mankind! She is sure sanctuary in turbulent days and a comfort when we are aﬄicted. Mary is a perfect example of discipleship – one who abandons all things to follow Jesus. As we think about being molded into the image of Christ, let Mary be our example. Let’s ask God to give us a Marian heart - big enough to ﬁt in all mankind’s needs and humble enough to turn to God in adoration and worship.